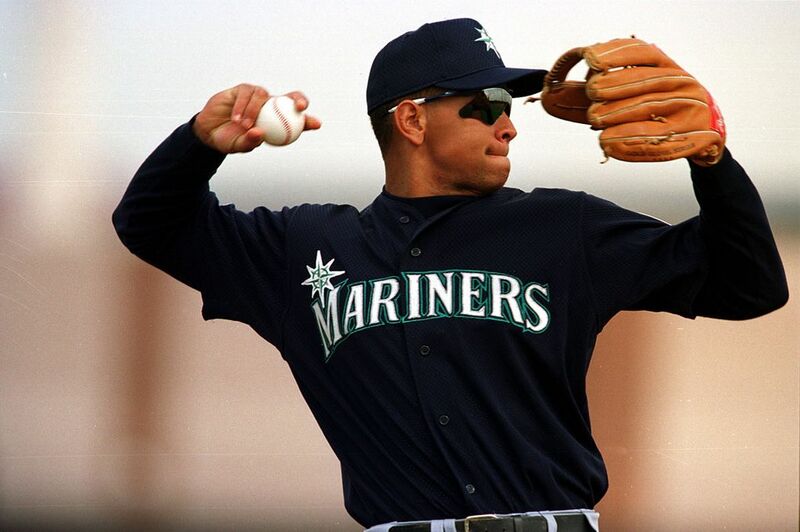 Here it is, the finale of our four-part series rating the top 40 Mariners of all time. Number one may not be a surprise — to date, only one player has a statue in front of Safeco Field — but the order of the rest of the list didn’t arrive without some discussion. The main debate was at No. 2 between Edgar Martinez and Ichiro. After some deliberation, we finally arrived at Edgar in the No. 2 spot. The final rankings were determined in a vote by The Seattle Times’ Ryan Divish, Larry Stone and Bob Condotta. Scroll through to see our final rankings, and vote on your top 10 at the bottom of the post. Why he’s on the list: The best catcher in team history — in fact, the only catcher on this list. In a testament to his durability, Wilson remains fifth in team history in games played at 1,251 and he’s also ninth in RBI (508) and 10th in extra-base hits (308). Key stat: Ranked in the top four in the American League in throwing out base stealers in every season from 1994-97 and led the AL in 1995 and 1997. Where he is now: Lives locally and serves as the Defensive Coordinator for the Mariners’ minor league organization while also serving as a guest TV analyst a few times a year. Why he’s on the list: Mr. Mariner’s numbers may hold up better today than fans who didn’t see him much or at all may realize. He remains fifth in on-base percentage (.381); on base plus slugging, or OPS (.834); home runs (160); and hits (1,163). Key stat: His 1989 season may be one of the most underrated in team history. 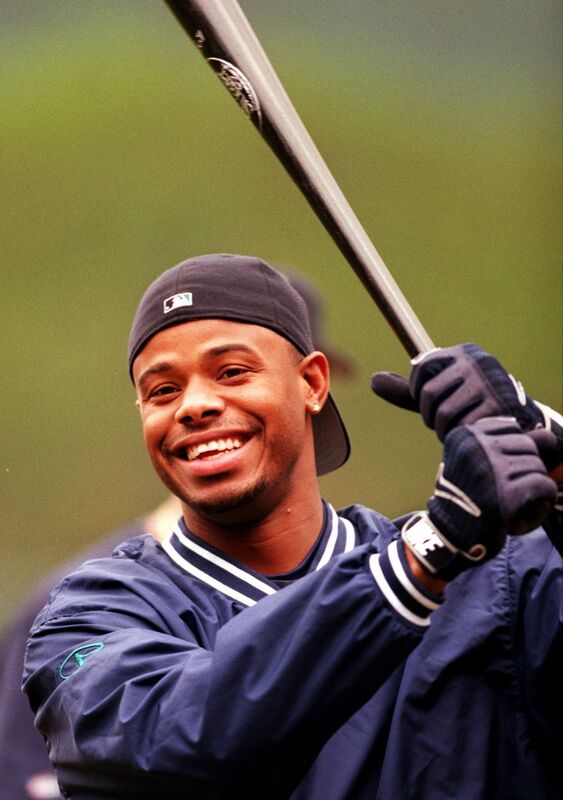 In hitting .305 with 21 home runs and a .920 OPS, he led the American League in Offensive Win Percentage at .751, a metric that determines the percentage of games a team with nine of him batting would win (Ken Griffey Jr. had win percentages of more than that only twice and Ichiro’s career-best was .684). Where he is now: Has a permanent residence in Riverside, Calif., but also serves as a roving minor league instructor for the Mariners. 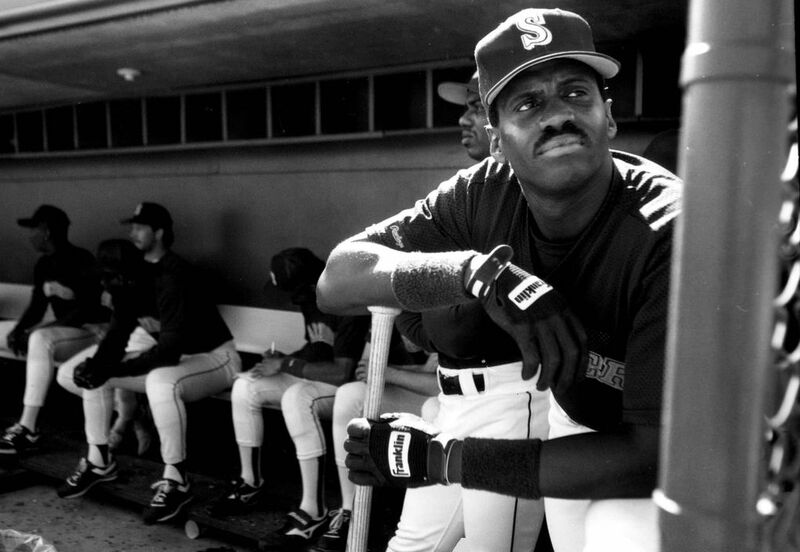 Why he’s on the list: Thanks to “Seinfeld,” came to Seattle in maybe the most famous trade in team history during one of the team’s worst seasons, 1988. Then held down right field through the 2000 season and ranks fourth in games played (1,440) and hits (1,255) and third in home runs (307) and walks (788). Also won a Gold Glove in 1996, along the way also inspiring one of the team’s more fun promotions — Buhner Buzz Cut Night. Key stat: Hit .306 in 26 postseason games with the Mariners and eight home runs — one-fifth of the 40 that Seattle has hit as a team in the playoffs. Where he is now: When not selling trucks, trucks and more trucks, occasionally taking a spin as a TV analyst for the Mariners. Why he’s on the list: You can’t say the Mariners haven’t had an incredibly fascinating diversity of styles among their best pitchers. 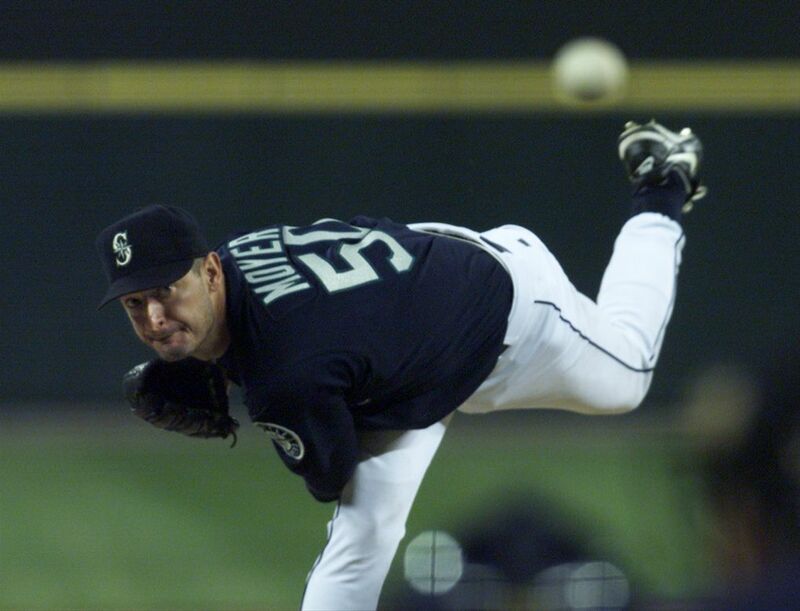 If Randy Johnson brought heat to rival any pitcher in baseball history and Felix Hernandez had overall stuff to rival anyone in baseball history, Moyer had, well, as much “craftiness” as anyone. 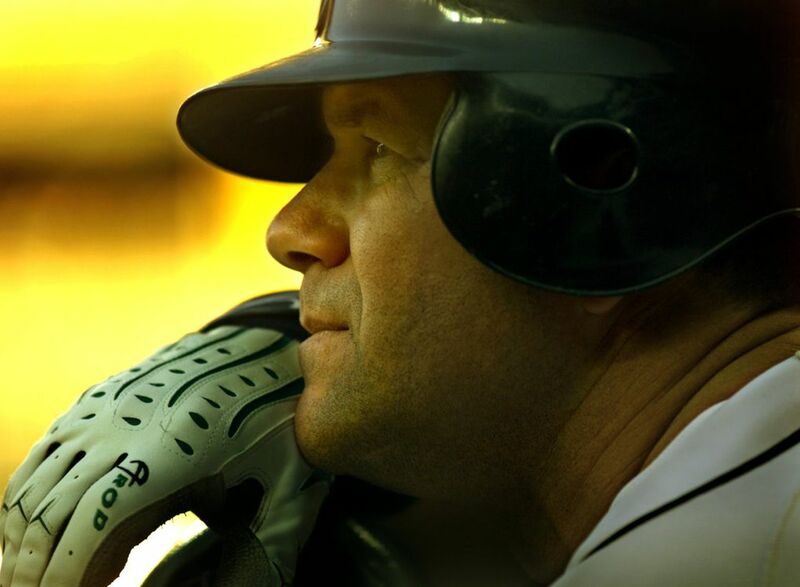 Moyer was a little bit of a journeyman when he landed in Seattle in 1996 at age 33, having already played for five other teams. But he created his legacy with the Mariners, starting 323 games over the next 11 years — a team record when he finally departed in 2006. He went 145-87 with the Mariners, the fourth-best winning percentage in team history. Key stat: The Mariners’ 2001 postseason disappointment wasn’t Moyer’s fault — he was 3-0 in three starts, winning the series-clinching Game 5 against the Indians in the ALDS and then beating the Yankees in Game 3 in the only game Seattle won in the ALCS. Where he is now: Living with his family in Rancho Santa Fe, Calif., but also still occasionally helping the Mariners’ young players. Why he’s on the list: OK, so the ending was messy and hard-feeling-eliciting and all of that. But Rodriguez’s name is still all over the Mariner record book. His .561 slugging percentage is the best (though Nelson Cruz is at .552 and could have the 2,000 plate appearances to qualify by next year), his .309 batting average is third and his 189 home runs is fourth. And the clutch-hitting stigma that would dog him later wasn’t an issue with the Mariners — he was 18 for 53 (.334 average) in the postseason with Seattle with three home runs. Key stat: It may be easy to forget now what a running threat Rodriguez was in his younger days. 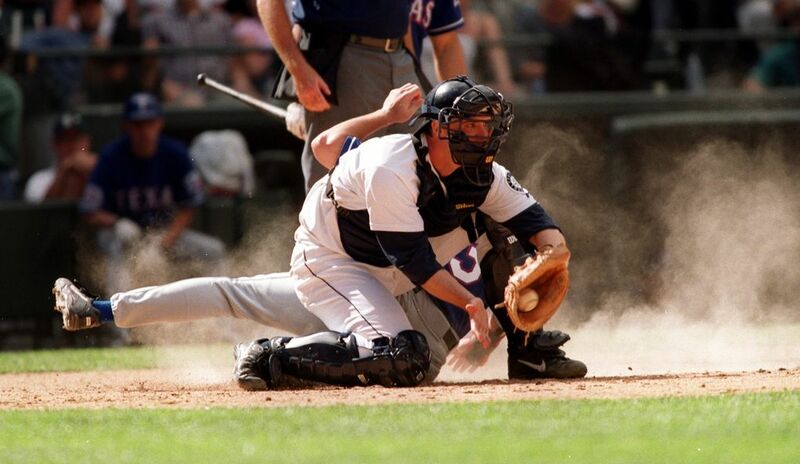 He had 46 steals for the Mariners in 1998 and his 133 steals during his Seattle career remains fifth in team history. Where he is now: Has become a surprisingly good TV analyst for FOX sports. Why he’s on the list: A case can easily be made for The King as the best pitcher in team history — how much better would his numbers look if he’d played with a better offense all those years? And how much more glittering would his legacy be if he’d gotten the chance Johnson did to pitch in the postseason at least once or twice? Hernandez has the most wins in team history (158) and the best starter ERA (3.19) among a bevy of career bests and his perfect game against Tampa Bay in 2012 is the single-best pitching performance in team history. Key stat: It won’t be easy for any pitcher to match or top Hernandez’s longevity records with the Mariners. His 13 seasons are the most for any Seattle pitcher, as are his 368 starts. Where he is now: Still taking the bump for the Mariners every fifth day. Why he’s on the list: You can maybe debate who is the best pitcher in team history. 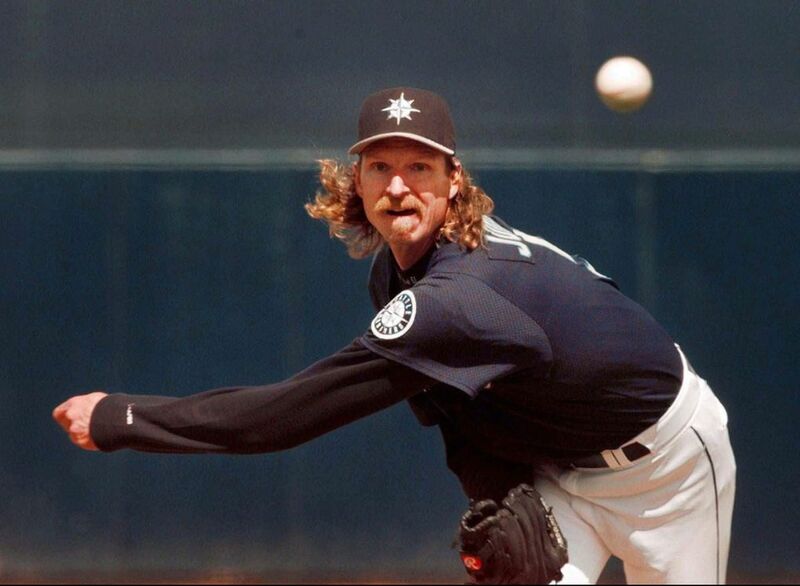 But there was no one more intimidating, dominating and for a few years more exciting than the Big Unit. 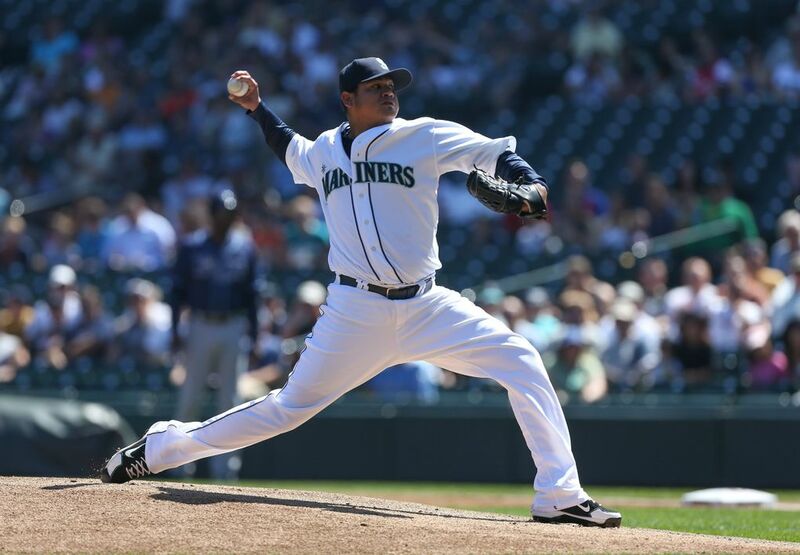 Johnson averaged 10.6 strikeouts per nine innings as a Mariner (by comparison, Hernandez has averaged 8.4). Johnson also pitched the first no-hitter in team history, and got the two biggest wins in team history, going all the way to beat the Angels in the one-game playoff in 1995 and then getting the win in relief in Game 5 against the Yankees. Key stat: Given the way pitchers are used these days, Johnson’s team record of 19 career shutouts might never be broken. Hernandez has 11. Where he is now: Special Assistant to the President & CEO of the Arizona Diamondbacks. Why he’s on the list: There were will almost certainly never be a debut season quite like Ichiro’s in 2001, when he kick-started a team many figured would flounder in the absence of Alex Rodriguez. 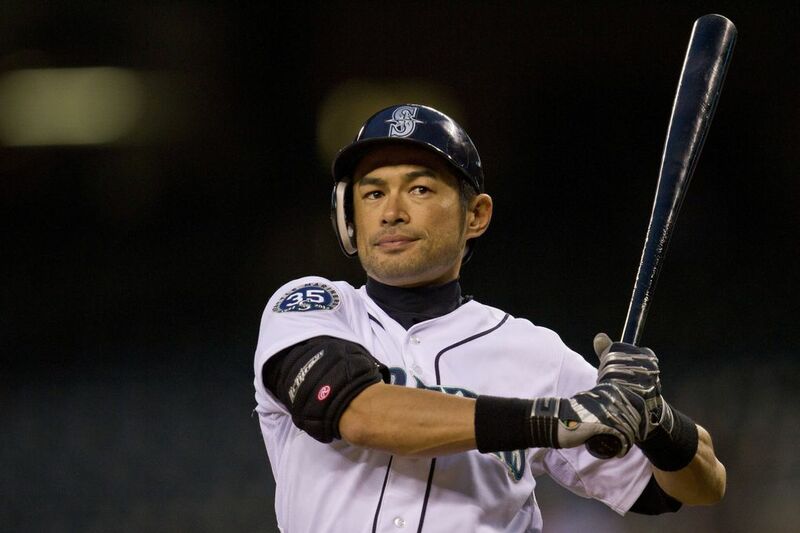 The Mariners instead went on to win an MLB record-tying 116 games, and Ichiro captured only the second MVP in team history. Then there was 2004, when he set the all-time season hits record. His career team records for hits (2,533) and average (.322) also won’t be easy to break. Key stat: It’s hard to knock a single player for a baseball team not winning more. But unlike Griffey and Martinez and others on this list, Ichiro’s career lacks a signature postseason moment — he hit .222 (4 for 18) with three singles and a double in the five-game ALCS loss to the Yankees in 2001 and never played in a postseason game with the Mariners again. Where he is now: Still hanging in with the Miami Marlins. Why he’s on the list: Simply put, the best all-around offensive player in team history. Martinez’s OPS of .933 is second in team history behind only the .934 of Alex Rodriguez. But Martinez gets the nod for longevity — he played in more games than anyone in team history (2,055), scored more runs (1,219), has the second-best average (.312), the best on-base percentage by a long shot (.412 — Ken Phelps is next at .392), and a walk total that may never be broken (1,283 — Griffey is next with 819). And, well, he also had the biggest hit in team history, the double down the line to score Joey Cora and Griffey to beat the Yankees in 1995. The Mariners have sadly won just three playoff series in their history. Martinez was the hitting star of each one, averaging .313 or better and with an OPS of 1.189 or better in each. Key stat: Martinez might have a better case for the Hall of Fame if the Mariners hadn’t been somewhat oddly reluctant to bring him up to the majors more quickly — especially considering the state of the franchise at that time. Martinez hit .329 at Class AAA Calgary in 1987. But the Mariners then left him in Calgary for another season and it wasn’t until 1990 when he was 27 that he got his first full season in Seattle. 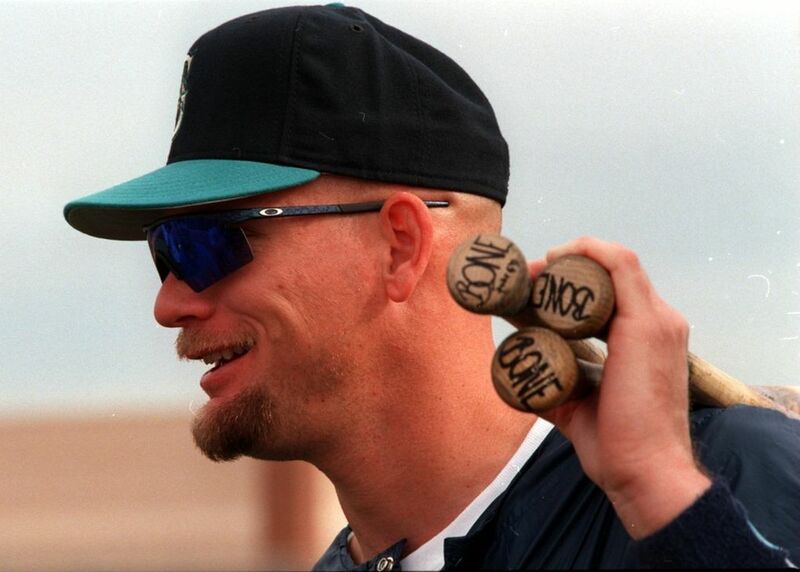 Where he is now: Hitting coach for your Seattle Mariners. Why he’s on the list: Reasons? You really need reasons? 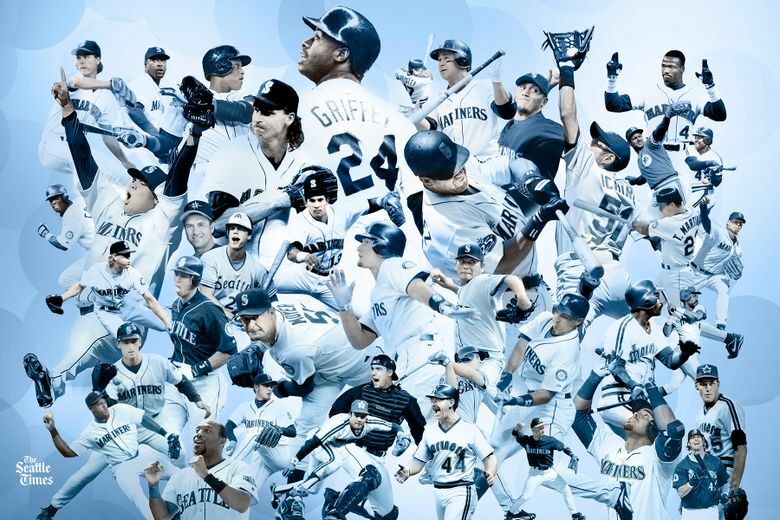 Well it’s not much of a stretch to say that Major League Baseball may not exist in Seattle anymore if not for Griffey, whose arrival in 1989 finally gave everyone hope — Mariners’ history can pretty well be considered as BG (Before Griffey) and AG (After Griffey). Even highlights of games in the Kingdome just seem a little brighter from 1989 on. 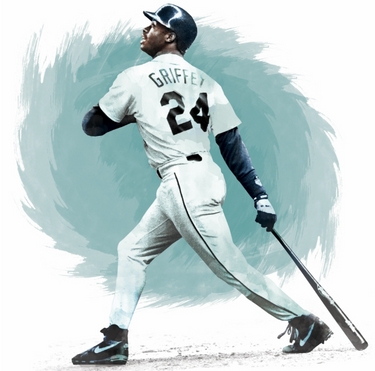 Griffey actually leads just one Mariner hitting career top 10 category but it’s one that may never be broken — home runs, with 417, or 108 more than Martinez. Key stat: Griffey is NOT one of the group of three Mariners to win the AL Rookie of the Year award. Instead, that honor in 1989 went to Baltimore’s Gregg Olson, who saved 27 games that year for the Orioles. In fact, Griffey actually finished third, with Kansas City pitcher Tom Gordon second. Where he is now: Holds official title of Special Consultant to the Franchise for the Mariners when not golfing or following — and often photographing — the athletic exploits of his three children.